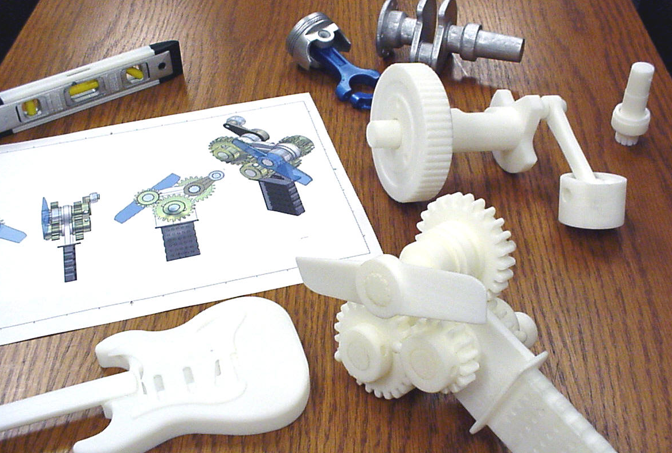 It might feel that 3D printing is only for big industries and is not for average or small business. But the technology has benefited to all the growing entrepreneurs and is an affordable option in the market today. The 3D printers today can print some unbelievable range of products with some astounding material like chocolate, metals, titanium and even living cells. The actually technique is to print the physical object out of the material. There is a lot of scope for the small business with the evolving 3D printing technology and it can lead the way in the market with the competition. The 3D printing technology can print anything and is ideal for a person who needs to set up a small business in the market. Small businesses start up kits is also available for the technology. The entrepreneur does not need to invest in the 3D printer at the initial stage of the business. He needs to upload the design on the website which can print the make to order objects. The material needs to be selected for the product and then get a quote. The order is printed and delivered at the address wherever you mention. The best part of the small business model is that the person does not have to invest in the printer cost and the distribution network. Just his creativity and innovation is enough to take him miles. The 3D printer can be taken later when the business is settled as it can save costs to him. Or he can continue with the same cycle to save the storage or inventory. Out of the box thinking and best innovative ideas can get the person better deals in the small business. Hobbyists, small entrepreneurs and artists can own the 3D printers as per their skills and functions.